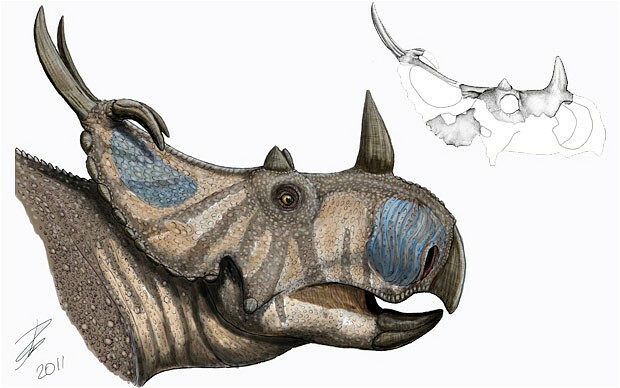 The remains of the herbivores, from the same family as the Triceratops, were excavated from a quarry alongside a large group of fossils in a so-called "bone bed" in Alberta, Canada in 1916. But the bones were described as "rubbish" by the Museum's Keeper of Geology at the time, and lay unnoticed for almost 100 years before experts realised they belonged to an undescribed species. They was rediscovered by a current group of researchers who decided to take another look at the fossils and realised that they were unlike any others known to science. Dr Andrew Farke, who led the research team, said: "I knew right away that these fossils were something unusual, and it was very exciting to learn about their convoluted history.